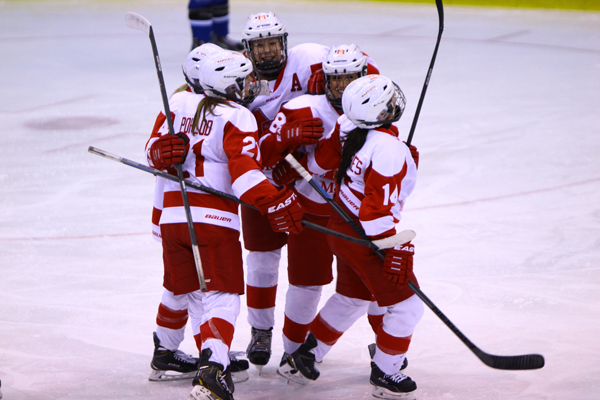 Whether you’re a seasoned university sports fan or just discovering McGill’s amazing programs, the March Mayhem campaign is your chance to throw your support behind McGill’s Martlet hockey and basketball teams en route to their respective national championship tournaments. Both teams have been pitted against each other, with the winner being the team that’s able to raise the most money for their crowdfunding site during the month of March. The Martlets hockey team is the defending CIS national champion. McGill has been recognized internationally for its academic programs ever since its founding, but did you know that our Athletic teams are also some of the best in the country? They set records, springboard athletes into professional leagues, and have produced an incredible number of Olympians. This is the first time such a competition has been held on the Seeds of Change platform. “Part of the fun of crowdfunding is that you’re able to do things like contests because it’s much less formal than the traditional methods of fundraising so you get to be creative,” said Melissa Forster, Annual Fund Officer and Seeds of Change ambassador. 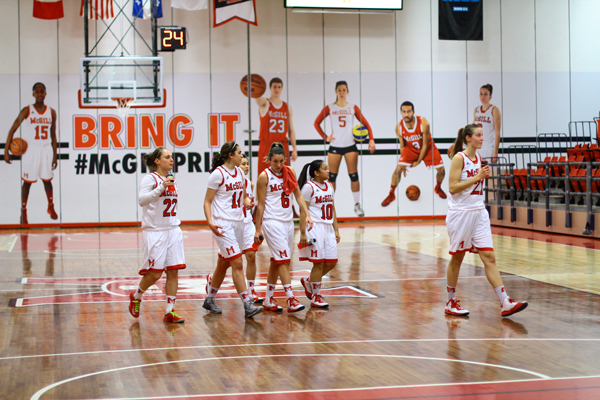 The Martlets basketball team will play in the CIS FInal Eight tournament in Quebec City from March 12-15. The teams launched their projects during the week of March 2. Since then, they’ve had a huge showing, winning their respective provincial titles and advancing to their national championship tournaments. Supporting these teams brings in crucial funds for their programs and can have an impact for years to come. That’s why these two teams are each hoping to raise $10,000 to help offset their competition-related expenses. Any additional funds collected will go towards team athletic awards and other team fundraising priorities. As it stands right now the Martlet Hockey team is holding top spot with $2,600 raised, and the Basketball team is in second with just under $1,800. The March Mayhem competition will run on the crowdfunding site until the end of the month. Don’t miss you chance to support these talented, driven student-athletes as they strive for gold. Pick a team. Make a gift. Go for gold!